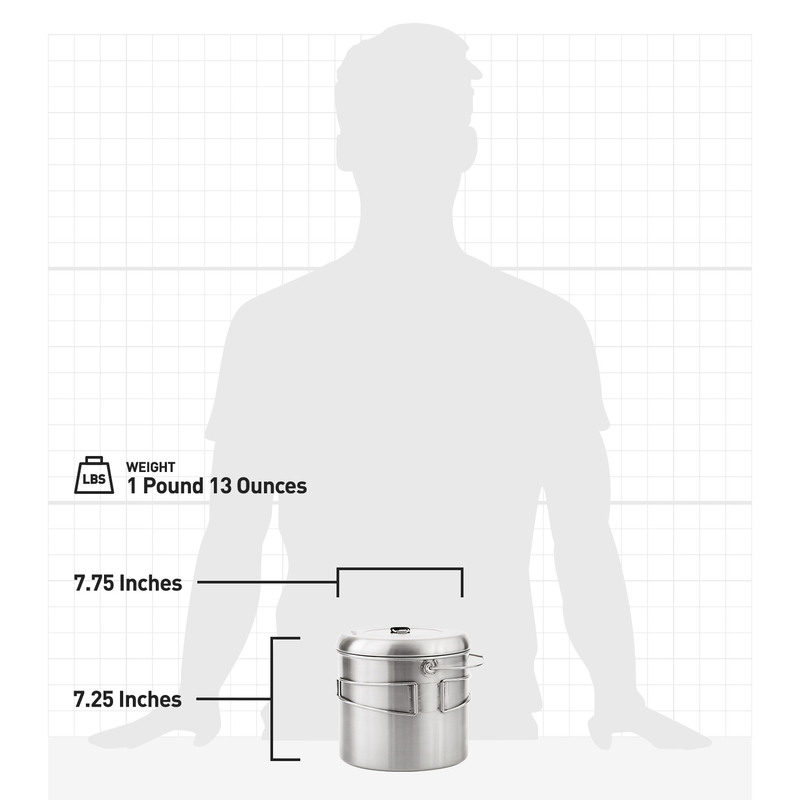 Solo Stove Campfire nests inside this all stainless steel 4000mL pot for compact storage. The durable Solo Stove Pot 4000 is the companion pot crafted specifically for use with the Solo Stove Campfire. This is the companion pot for the Solo Stove Campfire. The Solo Stove Campfire can actually nest inside this pot for compact storage. What is it called Solo Stove Pot 4000? It holds a maximum of 4000ml – that’s where the 4000 comes from.